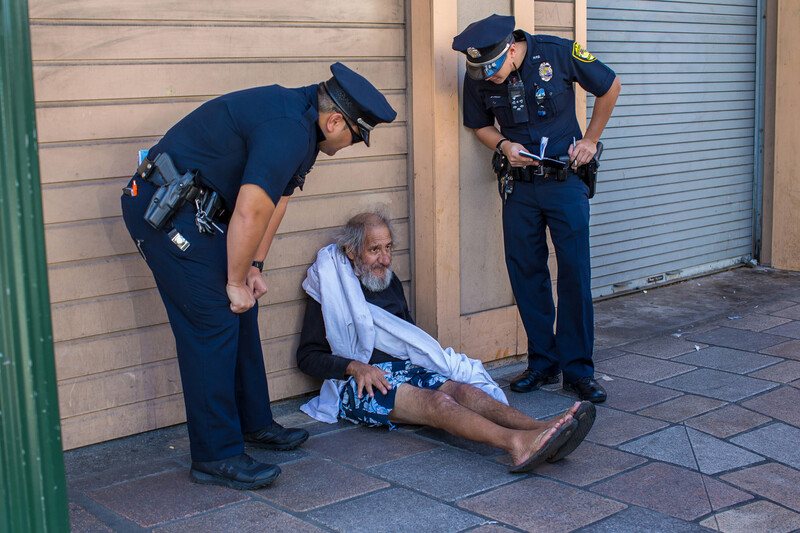 Honolulu police officers question Larry Custler before moving him to a bus stop where he is allowed to sit. He suffers from throat cancer and needs medical attention. "I try to do the best I can, but they get in the way", he said referring to the police.